Super Smash Bros. is an extreme game. It asks a lot of its fans and their controllers. Japanese owners of the 3DS version are finding, apparently, that it asks more of the 3DS than the 3DS is able to give. Fortunately for Wii U fans, there's a better alternative than manually soldering an old GameCube controller to your handheld. 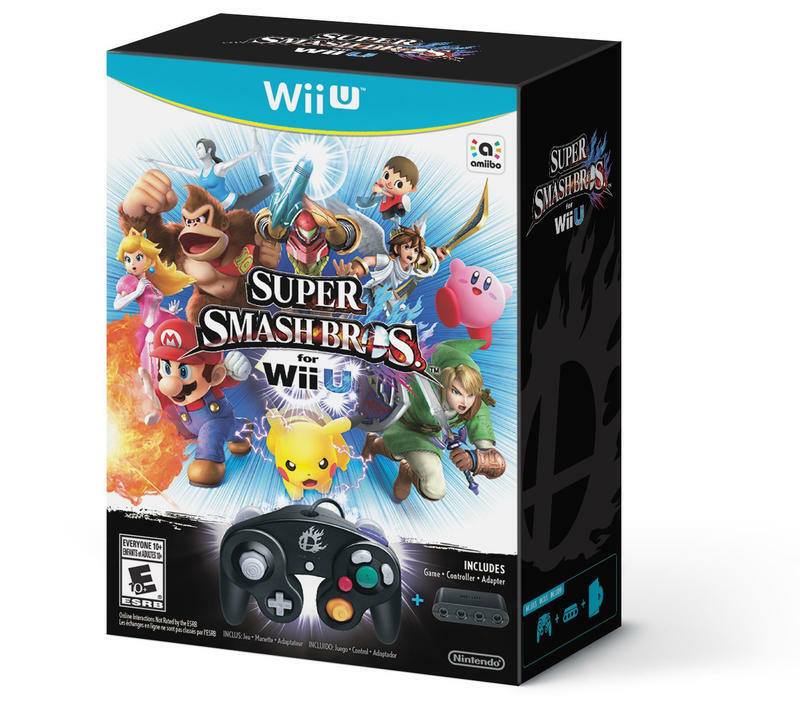 While it doesn't yet have an exact release date – the game itself is waiting for one as well – a bundle has appeared for pre-order on Amazon containing Super Smash Bros. Wii U, a Super Smash Bros. edition GameCube controller, and the adapter that lets you connect GameCube controllers both new and old to your Wii U. The bundle is set to retail for $99.99, which ends up being a savings of about $10 over buying the equipment separately, but ensures that you get your adapter and controller together.